It may be no surprise that professional athletes include chiropractic treatments in their busy lives to keep in tip-top competition shape. As sponsors of this year’s World Professional Chuckwagon Association (WPCA) Pro Tour, we had the opportunity to connect with the defending WPCA Pro Tour World Champion, Kurt Bensmiller and learn a little about how and why he incorporates chiropractic care in professional chuckwagon racing. Kurt Bensmiller has been racing chuckwagons for more years than he hasn’t. A successful chuckwagon driver, Bensmiller just turned 35 and he’s been racing for 18 years now. Although the racing season is a relatively short four months, preparation starts early. Once the season starts, things really pick up. So, where does chiropractic treatment fall into his and other drivers’ busy routines? Professional chuckwagon racing doesn’t come without it’s bumps, bruises, and breaks and chiropractic care is a valuable tool that helps address these injuries. Bensmiller believes chiropractic treatment is vital to remaining competitive on the circuit. 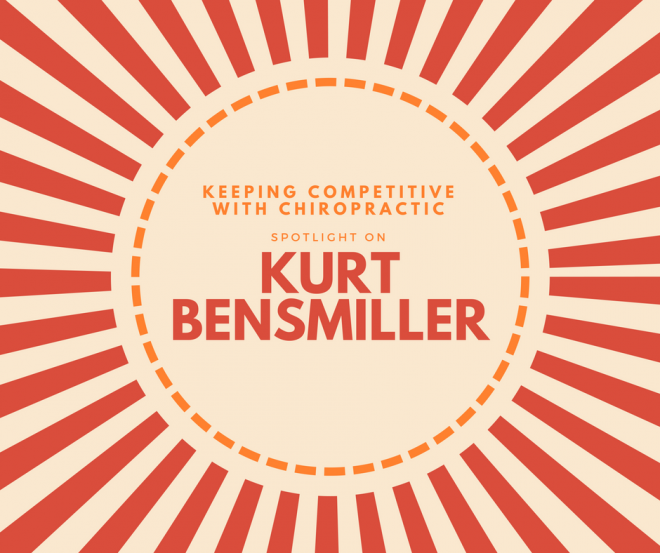 While Bensmiller is a ferocious competitor on the track, proper chiropractic care factors into his everyday life as well. The WPCA Pro Tour kicked off at the end of May in Grande Prairie and winds its way through the prairies and western British Columbia through late-August, when it wraps up in Rocky Mountain House. To learn more about the tour, its teams and the schedule visit the website to keep up to date. Whether you’re a competitive chuckwagon driver or an enthusiastic fan in the stands, it’s important to listen to your body when it starts to hurt. If your pain hasn’t subsided after a few days, seek advice from a chiropractor. Chiropractors are highly educated and specially trained musculoskeletal experts. Your chiropractor can also give you nutritional advice and whole-body wellness strategies in conjunction with your chiropractic treatment. Consult with your chiropractor or click here to find one near you.